Puddings. Not even a whisper of autumn and I’m already looking for excuses. Speaking of putting on the pounds, this recipe comes to you after a period in my life that I now refer to as ‘The Pudding Years’. I was newly married, scratching around my new home like a chicken, content in the novelty of my newly domestic life. I had begun to explore the gifts of the kitchen and so did AT. In fact he took over the dessert duties during this period, and soon earned the nickname ‘The Pudding Man’ from our friends. 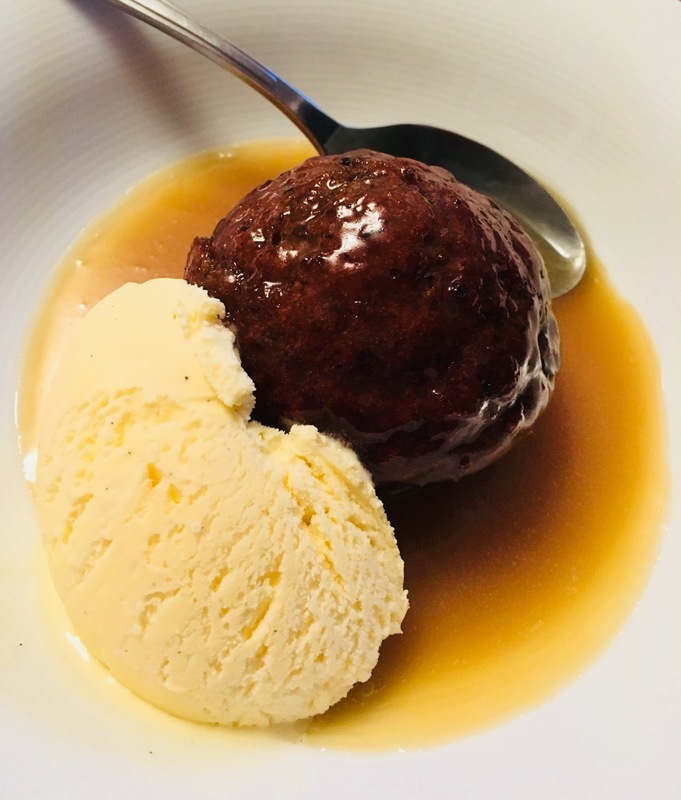 We would lure them into our home to try our latest favourite pudding; Lemon Delicious, Golden Syrup Dumplings, Self-saucing chocolate puddings. Needless to say we piled on the pounds and could safely say that our weight characterised the spirit of that long-forgotten era. I have cherry picked the individual date cakes and the toffee sauce from different recipe books because contrary to what you might think, all toffee sauces are not created equal. This one is a keeper. It goes very nicely with banana bread, poured over ice cream, eaten by the spoonful….or poured directly into your mouth, careful to let it cool first. The little date cake are ideal for cooking for less than 4 people because the recipe halves easily, freezes well, re-heats well. They’re light and not-overly sweet and easy to make. This combo is an absolute winner. Put the dates and a cup of hot water into a sauce pan and bring to the boil. Turn heat off and add bi-carb soda and butter. Stir. Sift SR flour and brown sugar into a bowl and make sure they’re well mixed. Throw in the date mixture and eggs and mix until just combined. The mixture will go kind of puffy. Scoop into prepared patty cases and bake for about 20 minutes, or till cooked. Put the sugar, butter, cream and vanilla into a saucepan and bring to the boil. Then turn down the heat and simmer for about 5 minutes. Pour hot sauce over the little puddings and serve with cream or ice cream.